Jacklyn Cira Bautista, 19, of Clover, left us on January 31, 2019, at Atrium Health Care, Charlotte. She was born January 25, 2000 in Gaston County. Jacklyn loved life and soccer, her beautiful smile would light up a room and she never met a stranger. 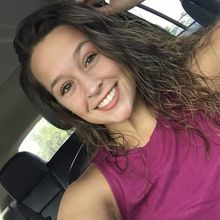 She graduated from Clover High School in 2018 and attended York Technical College. She was preceded in death by her maternal grandfather Gerald Broome, paternal great grandmotherJackie Philbeck and paternal great grandfather Jimmy Philbeck. The family requests in honor of Jacklyn that you wear bright colors for the visitation and the Celebration of her life. Also that no pictures or videos to be taken at the visitation or services. A Celebration of Jacklyn's Life will be held at 12:00 PM Thursday, February 7, 2019 at Bethel Baptist Church with Pastors Steve Kirby and Chris Davis officiating. Interment will follow in Westview Gardens Cemetery, Bessemer City.